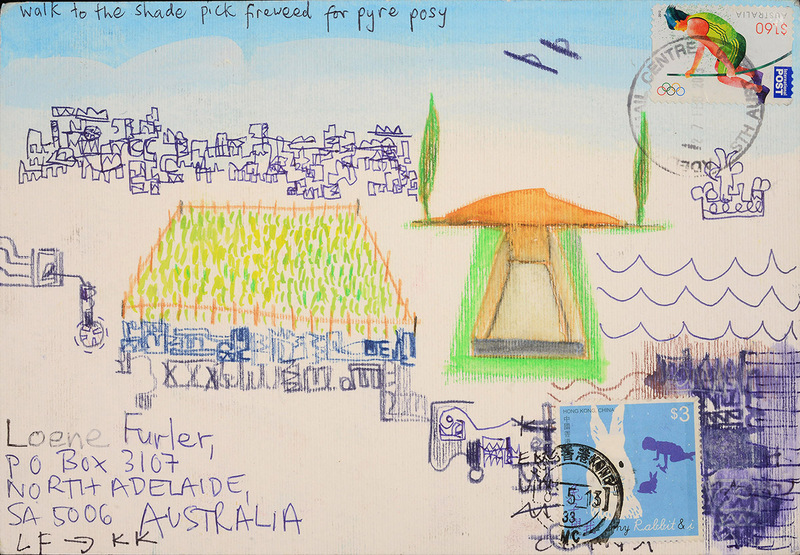 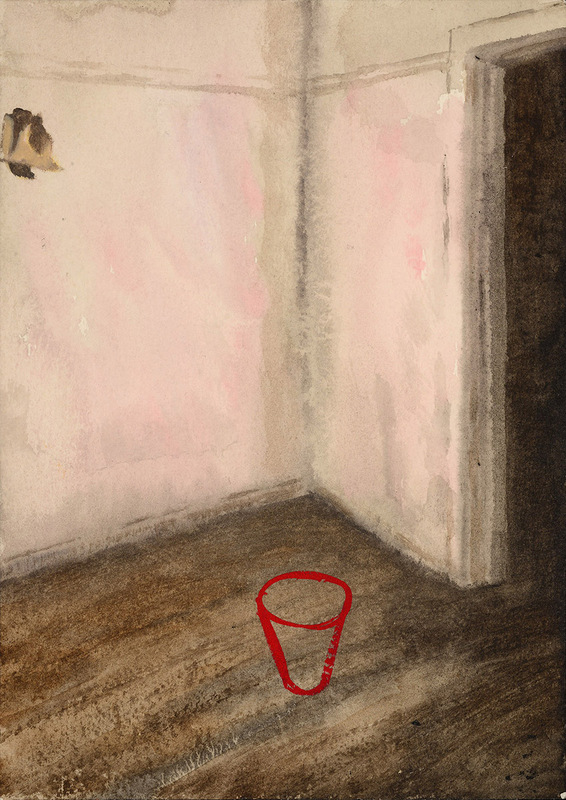 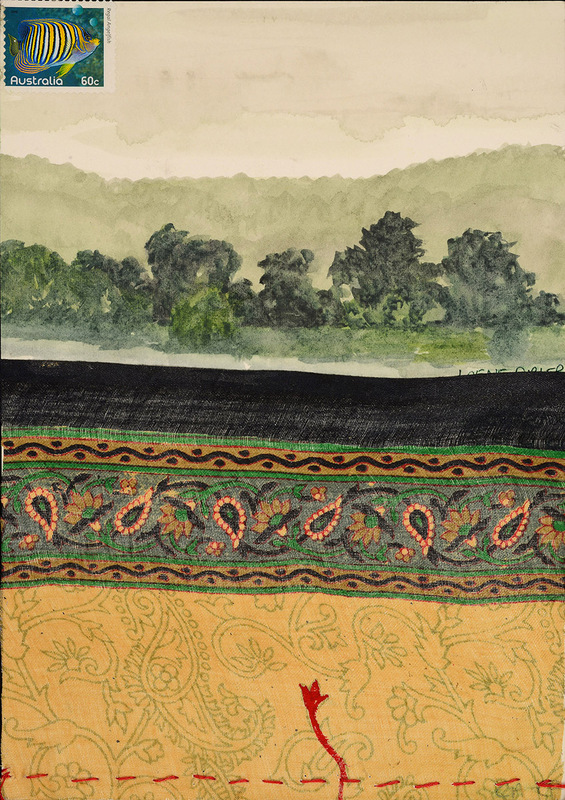 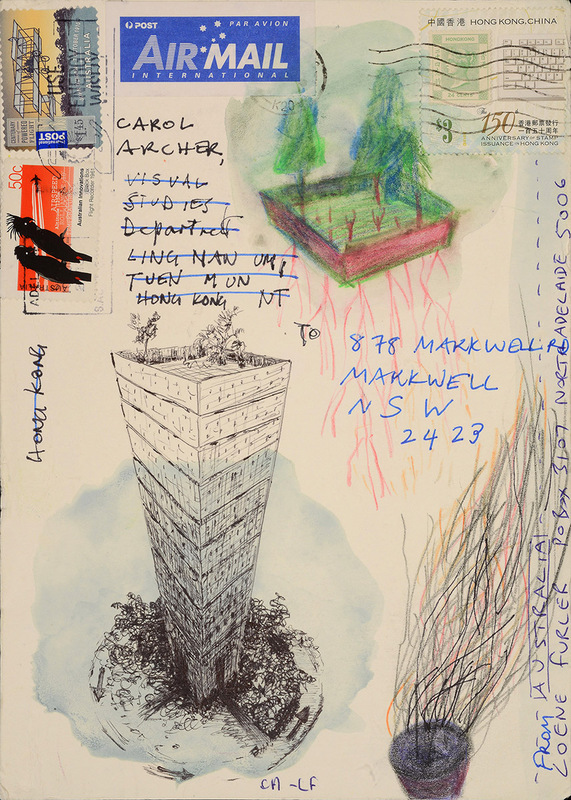 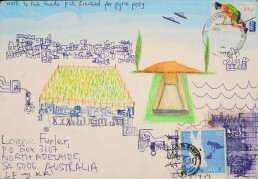 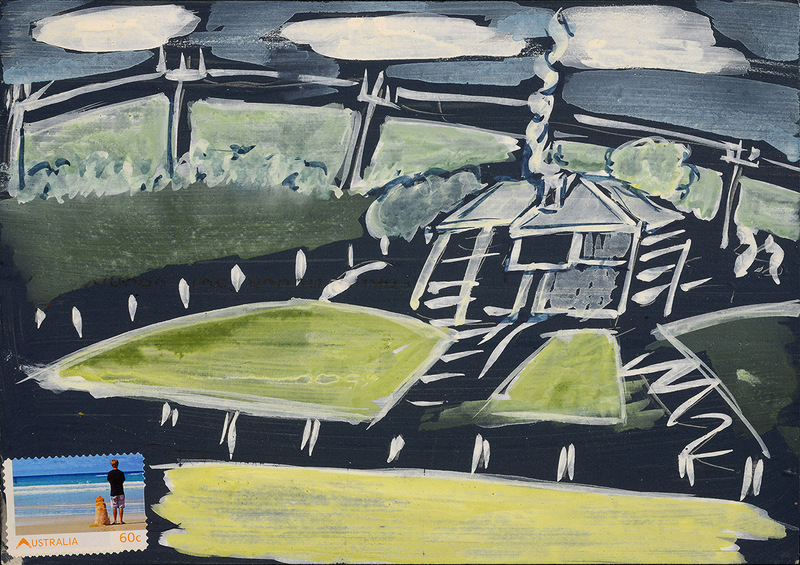 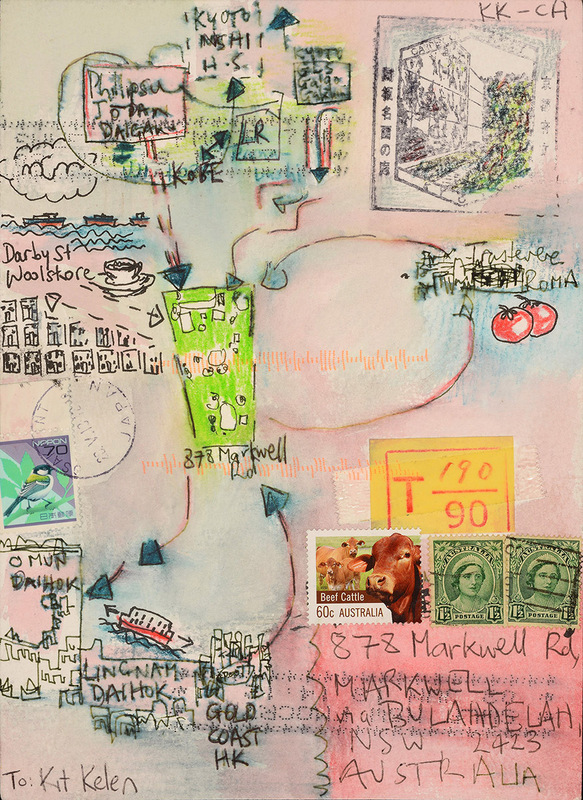 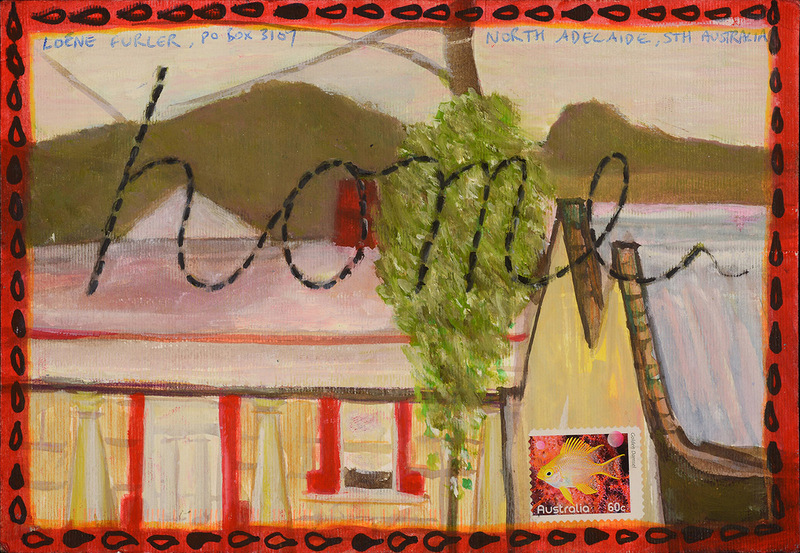 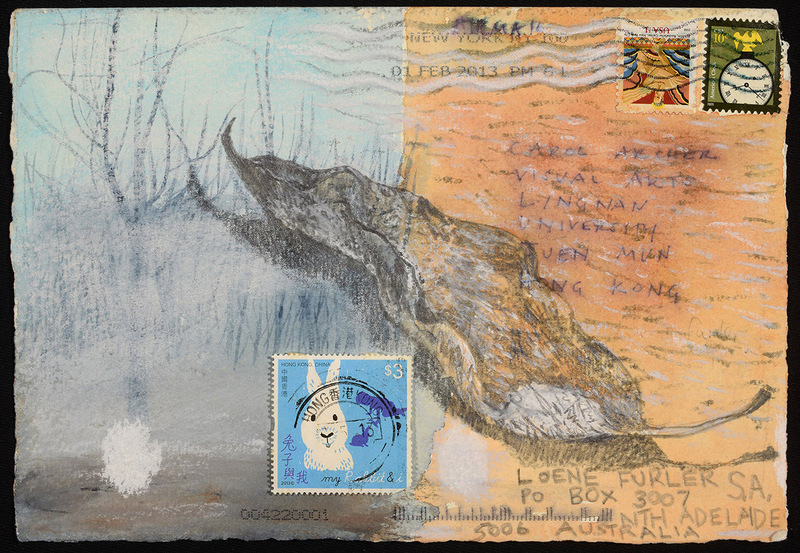 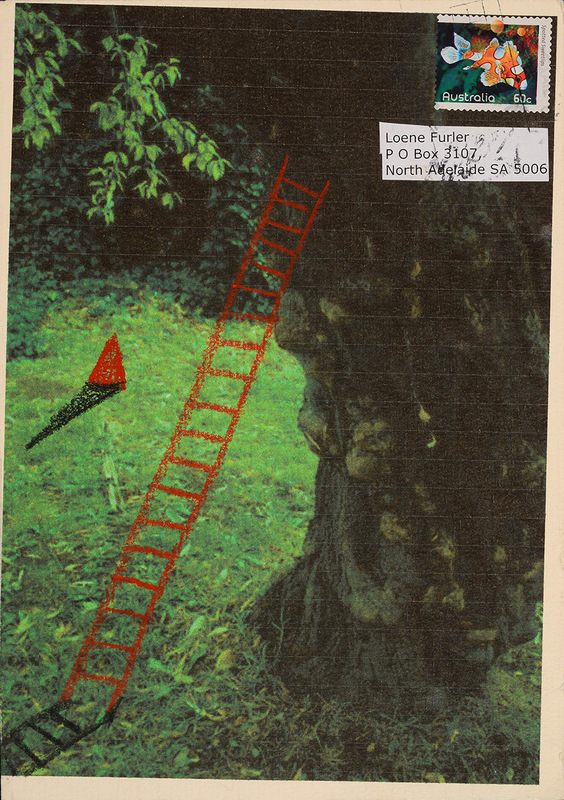 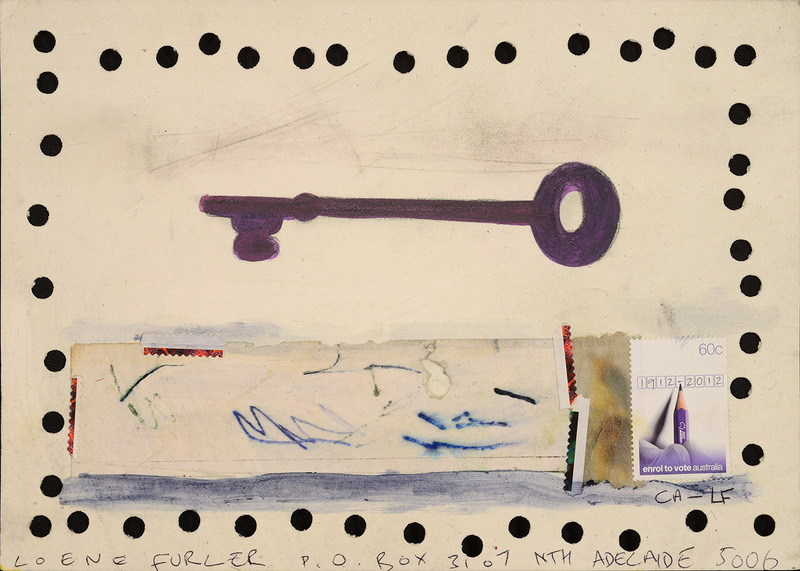 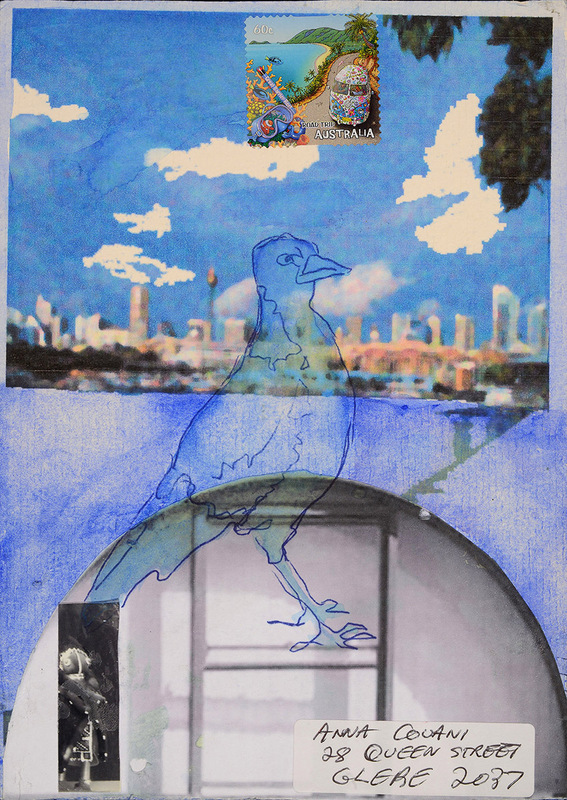 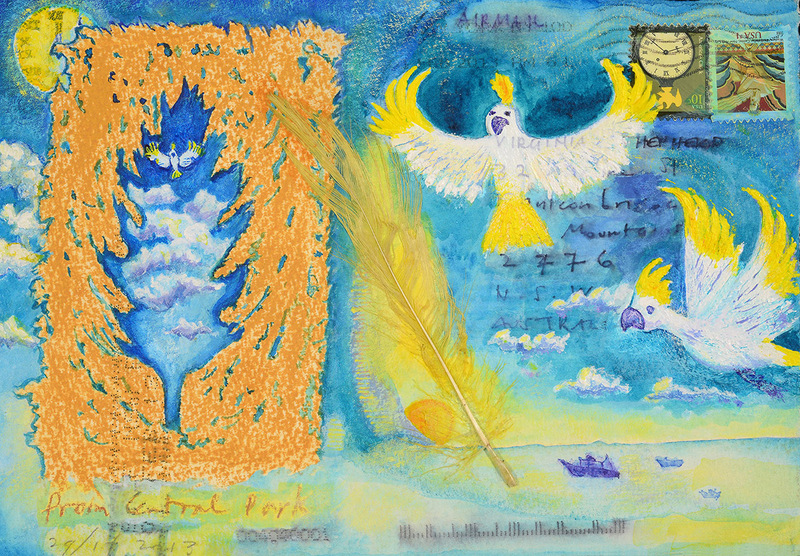 Elsewhere: Home (2012-2014) is a series of postcards by Carol Archer and five Australian artist-friends: Anna Couani, Loene Furler, Kit Kelen, Sue Rawlinson and Virginia Shepherd. 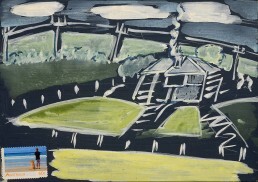 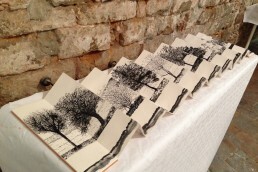 Each postcard is 21 x 15 cm in size, and deploys drawing, painting and photographic media on heavyweight watercolour paper. 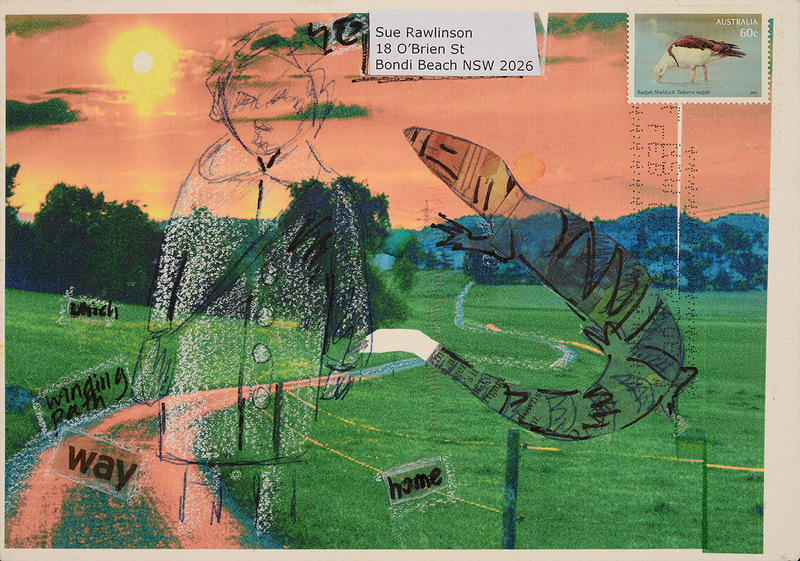 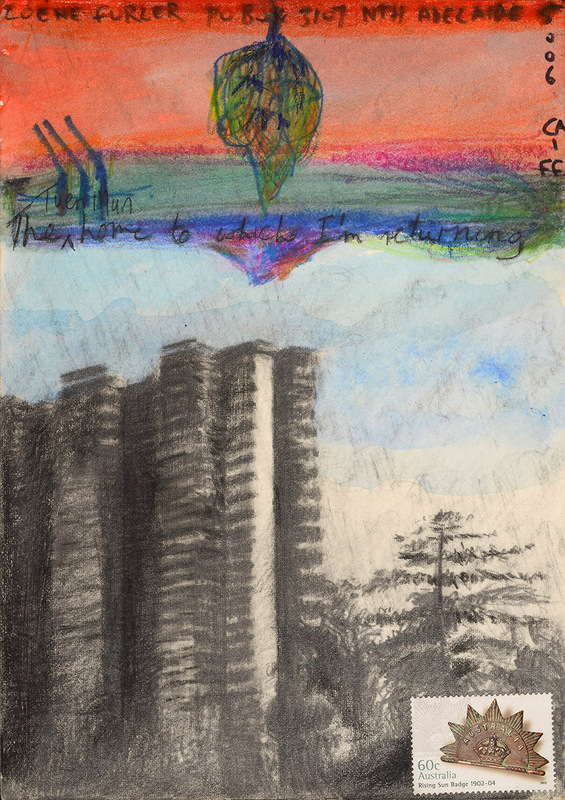 The project is a meditation on the concept of ‘home’, and it saw postcards – each by two artists – exchanged between Macao, Australia, Thailand, Japan, Taiwan, Laos, India, New York and Hong Kong. 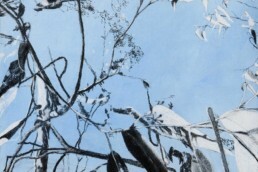 This series was exhibited at Rostrum Gallery in Malmo in Sweden (2014), in Lingnan University’s Fong Sum Wood Library in Hong Kong (2014), and in Tsim Sha Tsui (Hong Kong) at K11 Art Mall (2015). 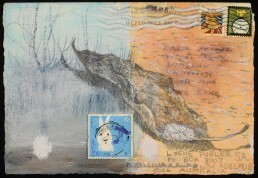 To read more about these three exhibitions please click on the links. 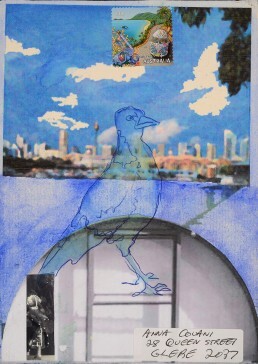 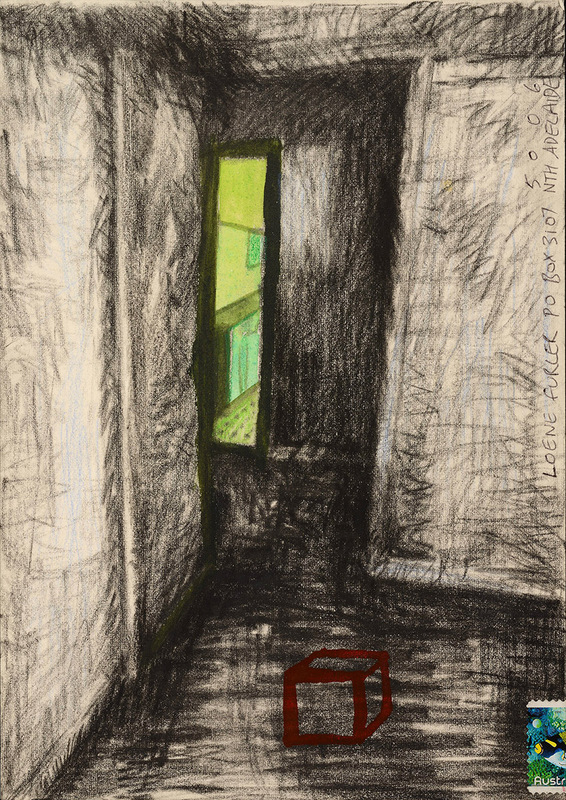 Kit Kelen and Anna Couani, mixed media on paper, 14.8 x 21cm. CarolArcher and Loene Furler, mixed media on paper, 14.8 x 21cm. 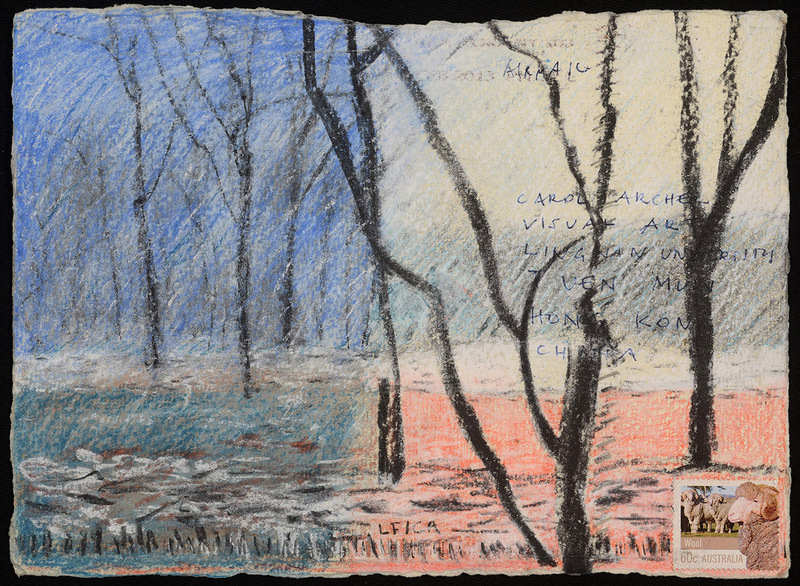 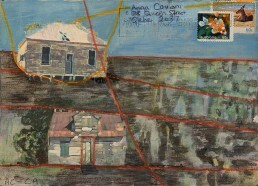 Anna Couani and Carol Archer, mixed media on paper, 14.8 x 21cm. 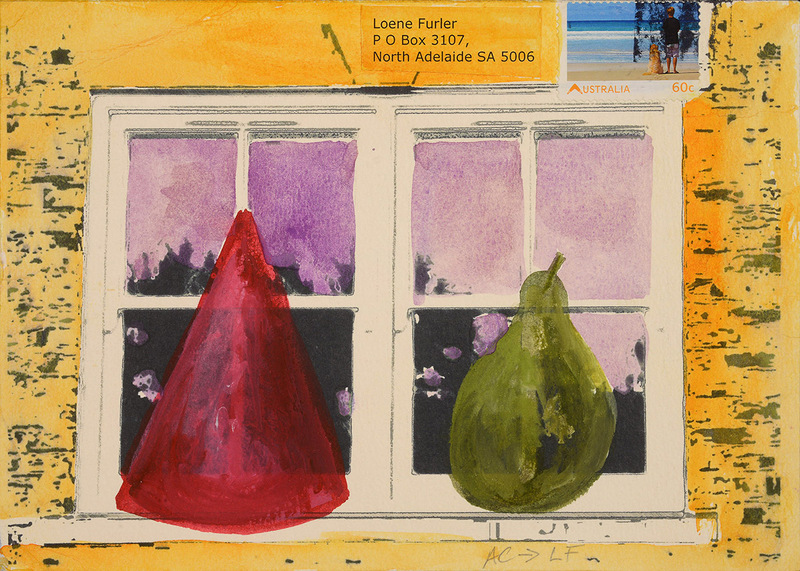 Loene Furler and Kit Kelen, mixed media on paper, 14.8 x 21cm. 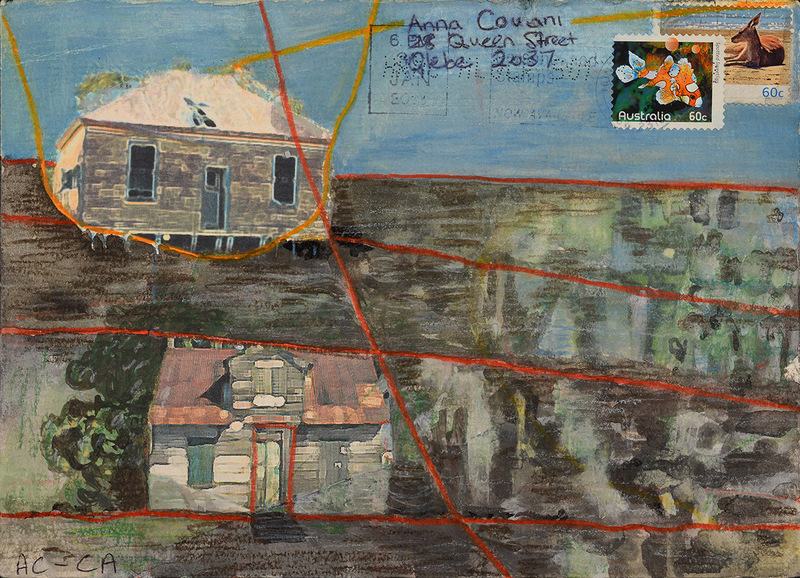 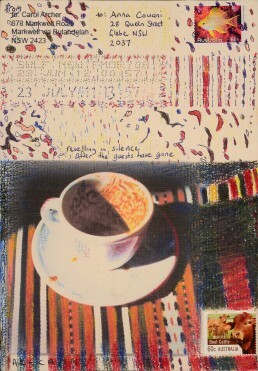 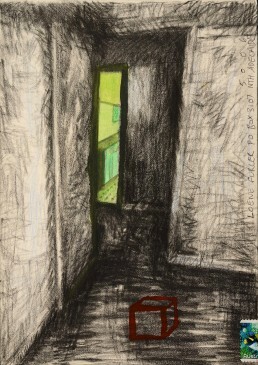 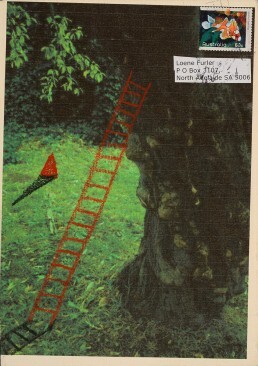 Anna Couani and Sue Rawlinson, mixed media on paper, 14.8 x 21cm. 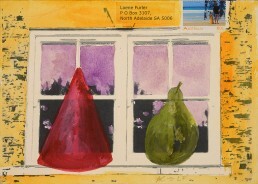 Loene Furler and Virginia Shepherd, mixed media on paper, 14.8 x 21cm. 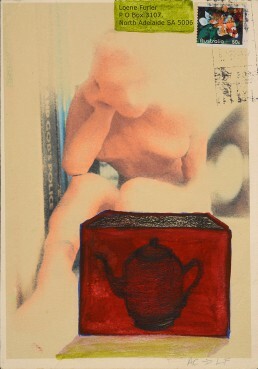 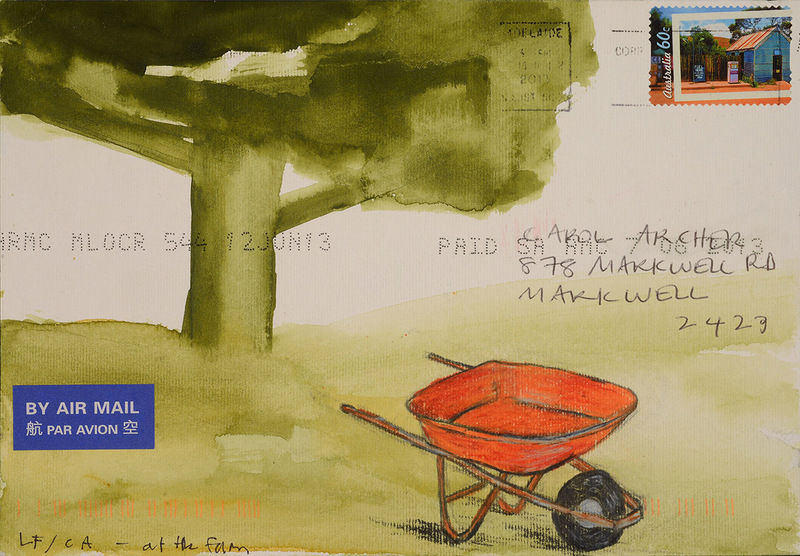 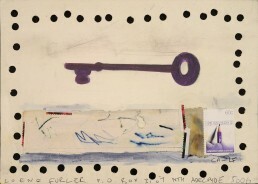 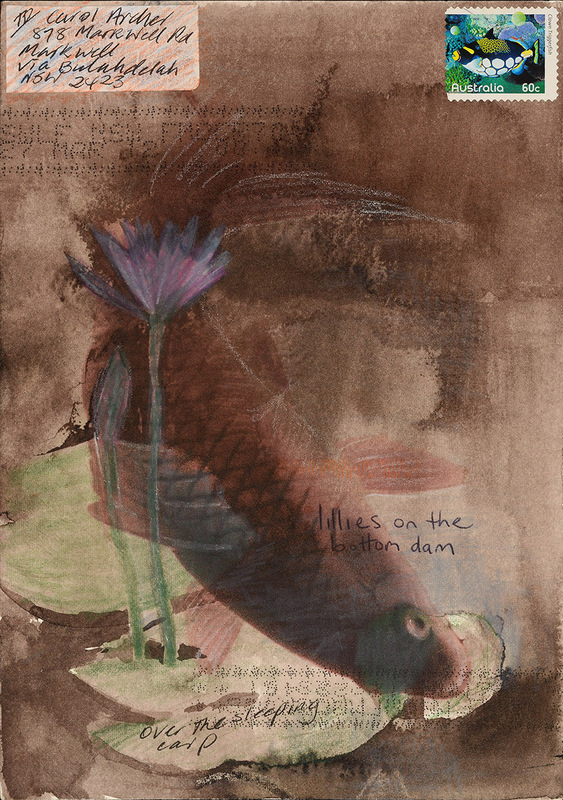 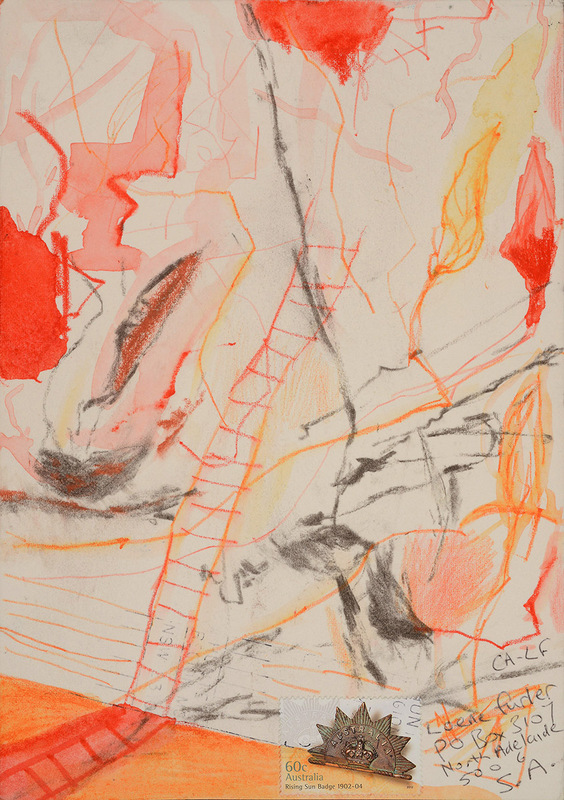 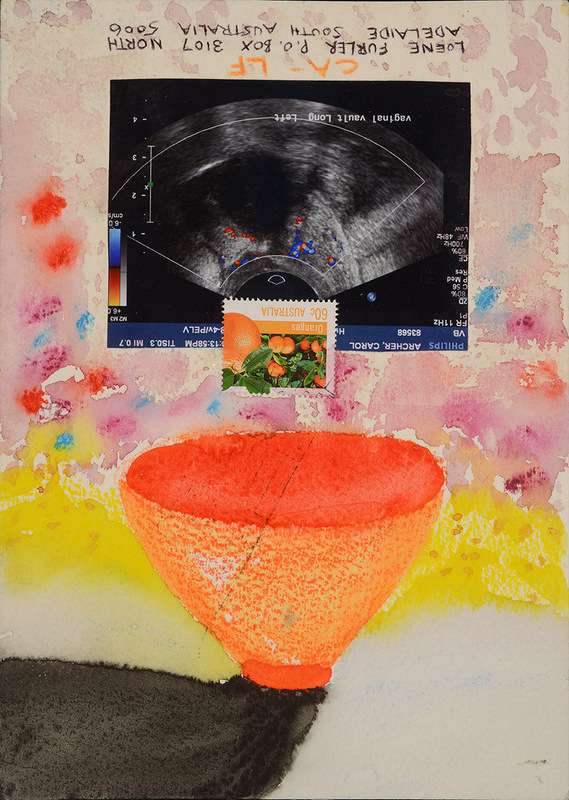 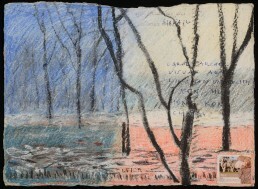 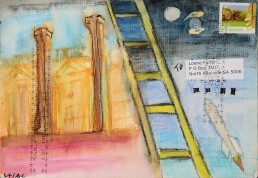 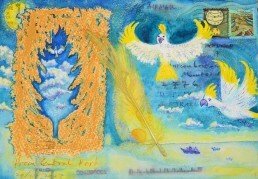 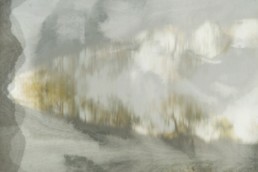 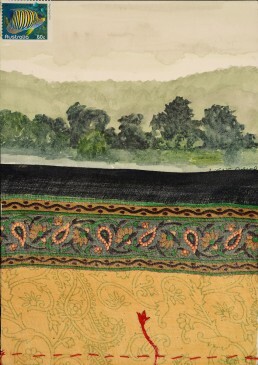 Kit Kelen and Carol Archer, mixed media on paper, 14.8 x 21cm. 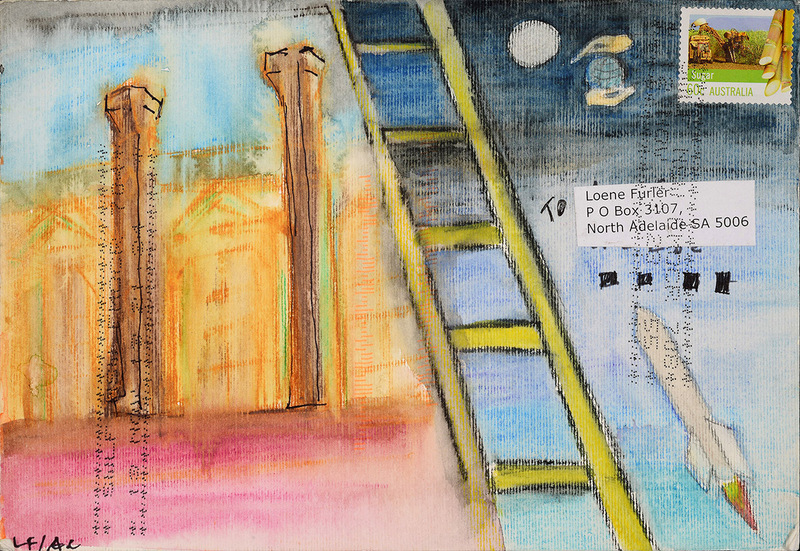 Anna Couani and Loene Furler, mixed media on paper, 14.8 x 21cm.